One of the pillars of eudaimonia, as defined by Aristotle is optimal well-being. 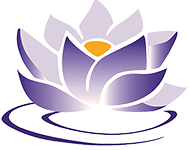 The Eudaimonia Wellness Center (a Truly Heal Club affiliate) focuses on this aspect of human flourishing and it is our mission to inspire and empower our members to take control of their own health and well-being by facilitating access to resources that enable prevention, address the root cause of disease, and improve health outcomes. Whole-body hyperthermia therapy raises the body temperature to a level similar to a fever. It is sometimes referred to as Fever-range Whole-body Hyperthermia. Extremely high body temperatures can be dangerous but carefully controlled and monitored use of hyperthermia where the patient is kept hydrated and their head cooled can boost the immune system. In case you are scared of fever, temperatures of 102° F/ 38.9°C are considered very common and are extremely healthy. Temperatures of 104°F/ 40°C are self regulating, needing supervision but not necessarily suppression. A fever should never be neglected as they can be controlled with safe, natural techniques. Drinking fluids, cold compresses, and waste elimination with enemas all help to reduce the fever if it goes beyond the 104°F / 40°C mark . But most of the time the body regulates the fever by itself through sweating. How well has ozone been tested? Ozone has been used in medicine since the fifties. Millions of treatments have been given with no deleterious side effects. Thousands of research studies have been published. How are oxygen therapies (Ex: hyperbaric oxygen) different from ozone therapy? Oxygen therapies are very different modalities. The usual oxygen therapy is making a patient breathe pure oxygen. This is useful in temporarily providing extra oxygen to tissues when the heart is not pumping adequately or the person is in shock compromising the circulation. There are oxygen breathing bars cropping up. 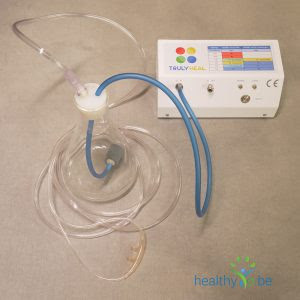 Individual spending time in densely polluted or smoky areas breathe pure oxygen for ten or fifteen minutes to flush out the pollution, Oxygen cannot be absorbed through the skin normally. In conditions such as septicemia or burns, large quantities of oxygen available to the tissue prevents catastrophes. Thus these individuals are exposed to oxygen under pressure in hyperbaric chambers oxygen under increased pressure penetrates the skin and reaches the tissues. Are there any side effects to ozone treatments? There are no side effects to ozone, when administered correctly by a well-trained technician. Ozone’s primary function is to detoxify the chemicals and other toxin we breathe, drink or eat. and destroy any organisms that may be in the body (and usually there are whether one is ill or well). PEMF can have a wide range of biologic effects. An individual’s diet, lifestyle, your level of activity, hydration, general health, stress levels and the quality of your nutrition all contribute to how it will work and how you feel after your sessions. PEMF Exercise can help you feel energized, and this feeling can build for a few hours after a session. Take note of how long this feeling lasts; it tells your doctor how many sessions you’ll need to achieve your goals. If you feel tired after a session, this may be due to a detox reaction. Your body wants to clean house and is getting rid of toxins. Resting and drinking plenty of fluids may support this detox reaction. Patients should talk to their doctors if this situation occurs. Make sure you check your pockets and person and remove jewelry, watches, cell phones, credit cards and car key fobs. Place them about a foot away from the system. Also, people with electrical implants (pacemakers, cochlear implants) can’t use a PEMF device. Everyone in the modern world is subject to environmental stresses that can challenge optimal wellness. Today, our bodies rarely make direct contact with the earth which puts us closer to the inherent electromagnetic fields of energy from the earth. The charged atmosphere above us is a standing wave of energy that is stimulate thousands of times a second by lightning and an environment that humans evolved in. Today these natural energies are no longer experienced by people in their pure form. With the establishment of mobile internet, bluetooth and data transmissions, exposure levels have reached an unexpected dimension and quality. 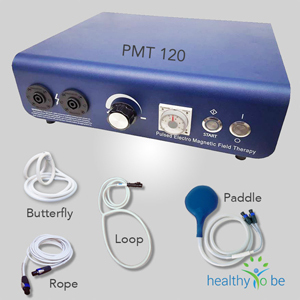 Therapeutic PEMF devices operate at an extremely low frequency, are non-ionizing and have been used safely around the world for decades. 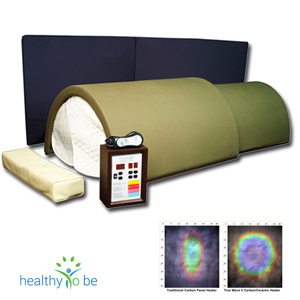 PEMF is an outside energy source that recharges stressed, underpowered cells like the batteries they essentially are so they can meet the energy demands for optimal cell function. How often do I need to use Maxx O2 EWOT and for how long? Consider EWOT as one component of your exercise program. Target three days per week at 15 minutes max per session. Incorporate weight training and possible outdoor walking or swimming as additional components of your overall conditioning program. If you are in poor health, EWOT may be your only way to exercise. Does breathing extra oxygen create free radicals? No. Free radicals are highly reactive oxygen, nitrogen and oxygen/hydrogen atoms which create cell damage through their effect on fats and proteins. Free radicals are not in the food we eat, the water we drink or the air we breathe. Triggers for free radicals include infection, trauma, stress, toxins, allergies and the sun. The free radical reaction we call oxidative stress is the result of cellular metabolism. Excess exercise increases oxidative stress. Specifically, oxidative stress is increased when the muscle cell outstrips its oxygen supply and is forced to produce energy through anaerobic glycolysis. Therefore, exercising to the point of anaerobic glycolysis increases free radical propagation. Exercise With Oxygen Therapy reduces free radical propagation for each watt of power produced by the human body. Testing was conducted at the US Olympic Training Center in Colorado Springs, Colorado. The athletes competed in three randomized trials in which they performed a standardized interval workout while inspiring a medical grade gas with oxygen concentrations of 21%, 26% and 60%. Post-training testing was performed on blood and urine. Noted, there was no significant difference between the supplemental oxygen trials and the control trial in serum lipid hydroperoxide and reduced glutathione or urinary malondialdehyde and 8- hydroxyl-deoxygenase. It can be concluded that Exercise With Oxygen Therapy enhances exercise tolerance without inducing additional oxidative stress. Hyperthermia therapy simply involves increasing the body temperature higher than normal levels. We help you perform this in a safe and controlled manner. It helps deal with or remove 4 of the 6 main causes that lead to chronic degenerative diseases. Non-heavy-metal toxicity and heavy-metal toxicity. Stress trauma and emotional imbalance. It should be noted that without interference the development process from baby to adult is accompanied by around 12 fever bursts. (Rudolph Steiner) Each of these fever bursts supports physical and mental development as well as jump-starts and prepares the immune system for a successful future. By suppressing these fevers we prevent this development of the immune system and pave the way for many chronic degenerative diseases! Can you remember the last time you had a high fever? Flags pathogens (and even cancer cells) with heat shock proteins, which which them more visible to the newly arrived white blood cells. Detoxifies petrochemicals, heavy metals, & neurotoxins from infections. Specifically, infected cells release IL1-64 which dilate blood vessels, allowing more blood flow, more oxygen, more white blood cells, and a generally better detoxification of the infected area. Up-regulates of cellular antioxident enzymes/systems. e. Increases production (by increased oxygenation of cells) of four important enzymes: Superoxide Dismutate (SOD), Reductase, Glutathione Peroxidase, and Catalase. Helps supply the 100X oxygen (Oxidative Burst) requirements of white blood cells when encountering pathogens. Accelerates glycolysis ATP production and general metabolism. Influences the mitochondrial transport system which enhances the metabolism of all cells and safeguards against mutagenic changes. Increases red blood cell pliability, blood fluidity, arterial PO2 (oxygen content), and decreases rouleaux formation (clumping). Increases leukocytosis and phagocytosis (production of white blood cells). Stimulates the rebuilding of tissue. Acts as a germicidal – inactivates entero viruses, coliform bacteria, staphylococcus aureus and aeromona hydrophilia. Even Antibiotic resistant bacteria can be killed with Ozone. Acts as a fungicidal, inhibits candida, mold and many other pathogens. Disrupts the cell envelope of many pathogenic organisms which are composed of phospholipids, peptidoglycans, and polysaccharides. 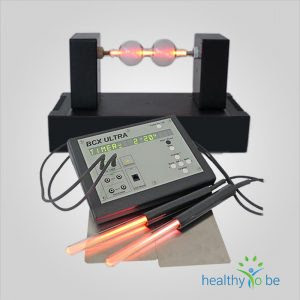 Pulsed electromagnetic field therapy (PEMF) is a type of electromagnetic therapy in which small magnetic currents are intermittently applied to the body. Our bodies use magnetic fields to generate cellular energy and transport items across membranes. Therefore, magnetic energy is required for life. Cleopatra was probably the first celebrity to use magnets. Stories say that she slept with a Lodestone (magnetic stone) to keep her skin youthful. The therapeutic knowledge was passed to the Greeks who have been using magnets for healing since 2500 BC. Aristotle and Plato also referred to the benefits of Lodestones in their work. Since the emergence of evidence-based medicine magnetic therapy has mainly stayed in the shadows. However, as technology advances proof of its therapeutic action and function are becoming more widespread and documented. Especially considering that currently magnets are used as one of medicines most advanced imaging tool, Magnetic Resonance Imaging (MRI). Our PMF device uses 2 square waves simultaneously to carry the magnetic field directly to the cell at up to 20,000 gauss. So instead of resonating just the receptors on the cell membrane, as low power systems do, ours can deliver harmonic impulses that resonates the entire cell membrane. PEMF deals with 4 of the 6 main causes that lead to chronic degenerative diseases. What is Z-Health? And why are your coach’s Z Health trained and certified? Z Health is a movement training system, which offers you an ultra-fast approach to getting out of pain, optimizing your health, and maximizing your athletic performance. How Does Z-Health Target Nerves? Z-Health targets the nervous system through very specific joint range of motion exercises called dynamic joint mobility drills. These exercises offer a powerful pathway to making your nervous system smarter about movement. This translates into a smoother, faster, more powerful, and more coordinated you! Why the Focus on Nerves? In your body, the nervous system rules! If you are looking to make fast changes in pain, range of motion, strength, coordination, speed, and agility the fastest path is to retrain your nervous system. It is the most stable system of the body. Research has repeatedly shown the nervous system can continue to learn and adapt at ANY age. Imagine being able to tell your clients that age does not matter and being able to demonstrate that fact. It is the fastest system of the body. 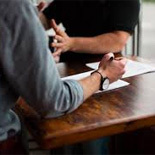 Your nerves communicate at lightning speed and this means that you can help your clients make nearly instantaneous changes in their health and performance. No other system will offer you that. Why Use Joints First Before Muscles? Specific joint movements are one of the best ways to communicate with the nervous system. The reason for this is that the joints have a very high concentration of nerve endings surrounding them that provide direct feedback to your nervous system. This feedback tells your body where it is in space, how fast it is moving, and what movements are safe. By re-training and waking up these nerve endings through specific joint mobility drills, you can help your body get out of pain and learn how to perform at your true genetic potential. What Does Z-Health Look Like? People say it looks like a lot of things — from yoga to martial arts to dance to stretching and every other named system under the sun. We don’t consider this unusual because the body can only move in so many ways. What makes Z-Health different from so many other systems is not the exercises so much as how you perform them. The depth and specificity of Z-Health makes it very different from many other approaches to mobility. Plus, the actual training techniques of Z – and its focus on the neural components of the process – make it extremely fast and effective. Why Focus on the nerves? It is the most stable system of the body. Research has repeatedly shown the nervous system can continue to learn and adapt at ANY age, and our coaches can demonstrate this during sessions. It is the fastest system of the body. Your nerves communicate at lightning speed, which means we can help you make instantaneous changes in your health and performance. No other system can offer these types of results. Exercise With Oxygen Therapy in simply exercising while breathing near pure oxygen. The oxygen has up to a three-day residual and a one year durable anti-inflammatory effect in the body. 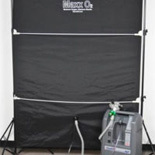 Some doctors claim one EWOT Maxx O2 session is equivalent to 20-30 hyperbaric oxygen chamber sessions. Cells die without O2 and all cells receive more oxygen than ever before for proper detoxification. Oxygen also shifts the pH to a desirable alkaline state and ATP (adenosine triphosphate) is cycled up many times which means your energy levels jump. KAATSU is a Japanese word and trademarked term where KA (加) means “additional” and ATSU (圧) means “pressure”. It is a safe and effective form of exercise, rehabilitation and recovery invented in Japan in 1966. Patented pneumatic equipment enables your arms and legs to modify venous flow which leads to a cascade of positive physiological effects. Quick Recovery: As a non-impact exercise, KAATSU enables effective, efficient rehabilitation and eliminates muscle atrophy. Lean Muscle: KAATSU leads to HGH secretion that helps create lean muscle mass and stronger bones. Cardiovascular Health: KAATSU leads to the production of Nitric Oxide to help maintain and improve vascular elasticity. Anti-Aging: KAATSU improves the metabolism and delays the aging process for individuals of all ages. Increase Endurance: HGH creates increased energy levels and exercise performance. 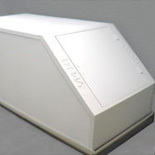 Float tanks are also called Isolation tanks or Sensory Deprivation Tanks. Their use, simply called “floating,” involves floating in an enclosed pod that is designed for short term sensory deprivation. This is typically done within a large tank of super-saturated magnesium water that makes you completely buoyant. 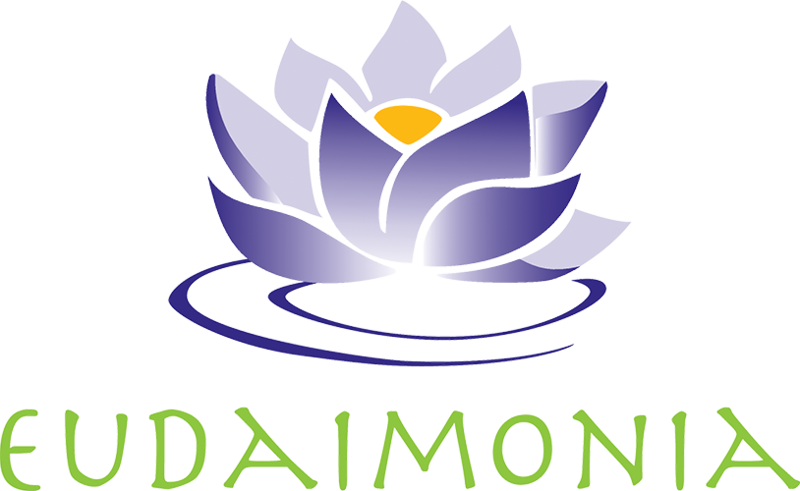 Eudaimonia’s float tank was designed and built by Samadhi, the original and oldest manufacturer in the industry. 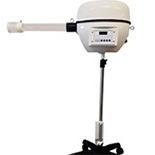 Halotherapy is the disbursement of micro-sized salt particles into the air in an enclosed environment. These particles of fine salt penetrate deep within the respiratory system and work to remove mucous build up and eliminate bacteria and toxins. This unique process helps open and expand the constricted airways allowing individuals to breathe easier and more clearly. Dry Salt Therapy also provides amazing skin rejuvenating benefits when the epidermis is exposed during treatment. Conscious Breathing is a term that refers to different medical and therapeutic methods to improve one’s breathing function. These methods work with directing the awareness to one’s breathing and with changing habits, which impair the optimal functioning of the breath system. The human respiration is controlled consciously and unconsciously. The different schools of conscious breathing use this for stress reduction, improving breath related diseases, and training in mindfulness. By improving the way, we breathe we will oxygenate our body more efficiently. When we take control of our breathing, we will directly influence our thoughts and feelings, our internal organs such as the heart and brain, and the body’s various functions such as muscle movements, digestion and the immune system. Royal Raymond Rife (May 16, 1888 – August 5, 1971) was an American inventor and a gifted scientist. He was among the energy medicine pioneers who discovered an incredibly simple, electronic approach to eliminating disease on the planet caused by viruses, fungus, and bacteria. Essentially, Rife devices can output low energy at a wide range of frequencies. When his frequency matches the resonant frequency of a particular structure resonation will build up until the structural integrity fails. In simply celled organisms, such as bacteria, viruses, and fungi, these frequencies, called the Mortal Oscillatory Rate (MOR) are fairly low and very different from healthy cells. Rife therapies deal with 4 of the 6 main causes that lead to chronic degenerative diseases. Let us help you choose the best programs, classes, therapies, or services!